If you're looking for the perfect Hawaiian island to slow life's pace, head to Kauai, known as the "unconquered island," and stay in one of our Kauai beach houses. The northernmost island in the Hawaiian chain, Kauai's laid-back atmosphere is the perfect place to rejuvenate and discover Hawaii's white sand beaches, fragrant and fresh air, and crystal clear waters. Whether you want to stay in the North, South, East, or West Shore, we have you covered with the best selection of beachfront Kauai houses so your Hawaiian vacation is picture perfect. 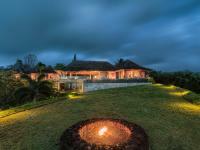 Explore our selection of luxury vacation rentals in Kauai and find exactly what you need. 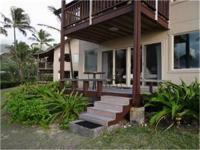 Looking for an oceanfront condo in bohemian and tropical Kapaa town? We've got that. 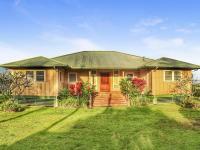 How about a secluded beachfront home in Haena? That's on our list, too. Whatever features and amenities you are in search of, Kauai's paradise beckons. Kayak the Wailua River, snorkel on Poipu Beach, shop in Kapaa Town, or visit a sugar plantation in Lihue. 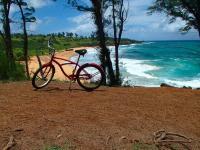 It's all within close proximity when you choose a Kauai vacation rental from Hawaiian Beach Rentals. 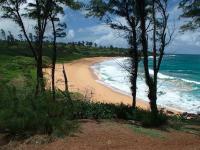 Select one of our gorgeous beachfront Kauai house rentals, and you'll never be far away from a Kauai attraction. Visit the historic seaport town of Waimea, hike on the challenging Kalalau Trail, listed as one of the '10 Most Dangerous Hikes in the US' by Backpacker Magazine, or do nothing but soak in the sun's rays at Mahaulepu Beach, which features an undeveloped shoreline that offers miles of exploring. You'll find plenty of fun Hawaiian excursions near your oceanfront house in Kauai. Finally, a Kauai vacation is not complete without experiencing all the natural, scenic beauty that surrounds you. From Waimea Canyon, considered the Grand Canyon of the Pacific, to Kokee State Park, home to rare plants, endangered species, and 45 miles of Kauai's best hiking trails to the Coconut Coast featuring Opaekaa Falls and Nounou Mountain, Kauai's dramatic beauty is alluring and timeless. access (just to name a few), so you can enjoy all of the comforts of home with the added bonus of luxury resort living. For the active traveler, Kauai offers something for everyone. Explore the backcountry on a horseback ride or ATV tour, zipline through a mountain valley, or go parasailing, kayaking or standup paddling in the ocean. Places to snorkel, scuba dive, and play a few rounds of world-class golf are also abundant throughout the island. Best of all, they're only minutes away from some of our luxury beachfront home rentals in Kauai. 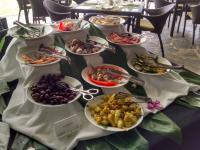 For the gourmand, Hawaiian Beach Rentals boast Kauai beach rentals near top notch restaurants which serve delicious local and gourmet cuisine. Whether you're a honeymooner or a large family, you will enjoy the peacefulness of the beaches and the breathtaking surrounds all while staying in the luxurious accommodations of your Kauai beach home from Hawaiian Beach Rentals. Retreat and experience new Hawaiian adventures today.